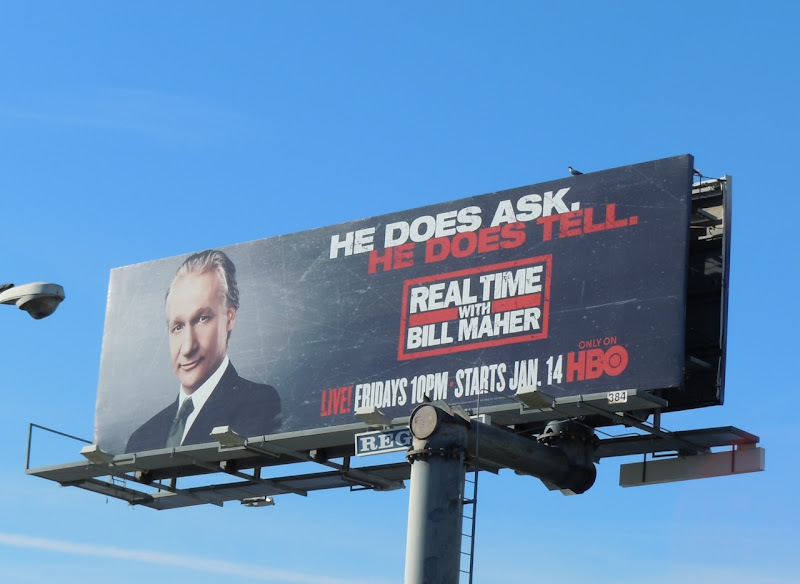 Bill Maher cleverly adapts the Don't Ask, Don't Tell slogan, that was making headlines before the New Year when a bill to repeal it was passed, to help promote his own brand of political satire in these billboards for his show, Real Time with Bill Mather. Apparently He Does Ask and He Does Tell. 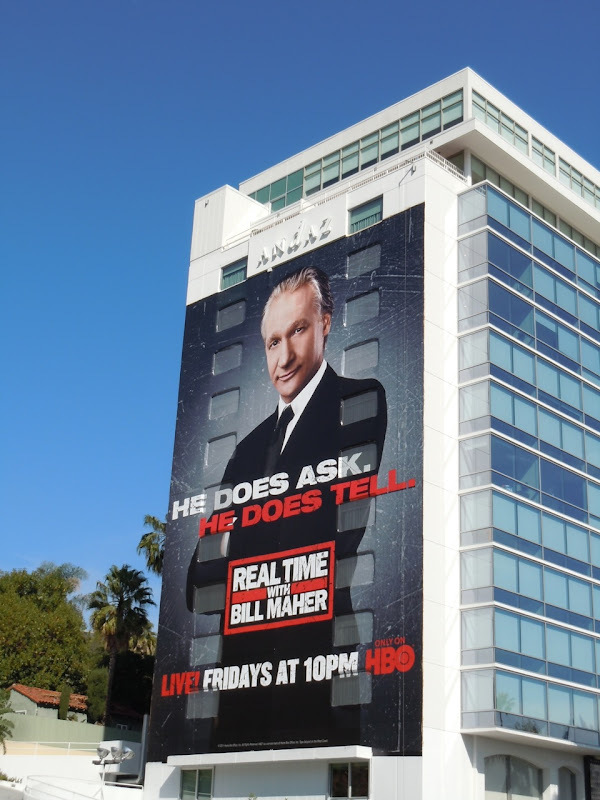 It's a smart way to grab attention with just a witty strapline and this large billboard was photographed along Sunset Boulevard on the side of the Andaz Hotel on February 4, 2011, whilst the smaller creative was snapped along Beverly Boulevard on December 31, 2010.